A suburban Democratic candidate for Congress is ineligible to hold that office because he hasn't been a U.S. citizen long enough, records show. 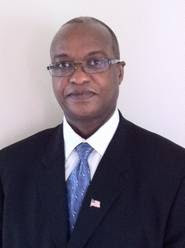 Aloys Rutagwibira, 53, of Hainesville, is a native of Rwanda who became a naturalized American citizen on July 6, 2006, according to voter registration records acquired by the Daily Herald. Congressional service requires seven years of citizenship. Rutagwibira won't be eligible until July 2013. Rutagwibira is one of five candidates seeking the Democratic nomination for the 10th District seat now held by Republican Bob Dold. Rutagwibira has not returned multiple telephone calls requesting interviews. He also failed to attend a scheduled candidate interview session Tuesday at the Daily Herald office in Libertyville. When asked via email about his citizenship, Rutagwibira refused to confirm the date he took the citizenship oath. U.S. House of Reps candidate removed from ballot. The Lights are on…But for How Long? (Jan. 31, 2012) — 4:32 p.m. ET – It’s been a long five, almost six days. As Arlen Williams generously posted here and here during The Post & Email’s inadvertent downtime, on January 20, our host, GoDaddy LLC, claimed that our site created a problem for other websites by utilizing too much space and shut it down after we hired someone to troubleshoot it. We were not advised of the problem until the following morning. On Thursday, January 26, just after publishing our account of the hearings in Atlanta on Obama’s eligibility, the site was shut down again without warning, purportedly for generating a “query” which caused a “runaway code” resulting in the same risk to other sites. GoDaddy had informed us that its policy is that the site owner is not given advance warning of an impending shutdown. We are not convinced that the overloads were not caused by hackers or other ill-wishers to the dissemination of the truth. When we purchased the hosting plan in late September 2010, we were given unlimited bandwidth and assured that the server was adequate to our needs. We know our readership has grown exponentially since that time and certainly wished no harm to come to other sites on the server. Our second website developer called today to inform us that he was able to bring up the site, but it is still on the shared server rather than the dedicated server which we purchased in good faith to avoid over-capacity problems in the future. For the last five days, we have paid for two hosting packages and been unable to utilize either one. I noticed that your website is producing an error at this time. Please let us know if you need further assistance from us regarding this migration or getting your setup completed.. We are happy to assist you. Please contact us if you have any further issues. Who knows what that means? Are they referring to the old hosting account, where The Post & Email currently resides and is an apparent risk to other websites, or the new hosting account, where The Post & Email was supposed to go and for which we paid almost $800? The website developer has told us that we are “OK for now,” but that the site will go down again after a technical change takes effect. 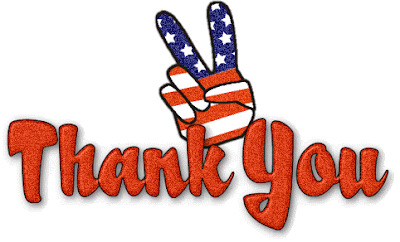 The Post & Email wishes to formally thank Arlen Williams of Gulag Bound for his gracious posting of our work during our absence from the web. Last evening, Sharon Meroni of Patriots Heart Network also posted our update, and ObamaBallotChallenge wrote an article in response to our latest update which was published this morning. If we have neglected to thank anyone else who posted our work, it is because we are unaware of it. We would also like to thank everyone who has donated to our emergency fundraiser to cover the unexpected expenses of the “move.” We have learned that maintaining a prominent place on the web is not an inexpensive business and have raised just over $700 of our $1,500 goal. My office is in a state of chaos from the last five days, so it’s back to work on the breaking news of the day…for as long as it lasts this time around. The so-called “mainstream” media are despicable. The government propaganda news reporters of the past in places like Soviet Russia and their modern contemporaries do not hold a candle to the current communist Democrat mouthpiece news “reporters” here in America in their ability to lie to the people. Those of us who have watched the sickeningly fawning, fiercely biased reporting on Barack Obama (or whatever his name is) since before the 2008 presidential election know exactly what I mean. Reporters for the media establishment would not report the truth about Obama even on pain of death. So it comes as no surprise that the most spiked (unreported) story of the past several weeks is that of three legal complaints against Obama in the State of Georgia that demand he prove his constitutional eligibility to hold the office of President, and thus, his ability to legally be on the ballot in Georgia. This story has not been covered by the mainstream media, except in rare isolated instances of vitriolic presentation. Have you seen it on your local evening news? Have you read it in your local bird cage liner newspaper? Nope and nope. This story is huge, yet the Obot media, in lockstep with the sinister character in the White House, refuse to report on it. In the event you are unaware of this story, the bottom line is that finally after more than three years’ worth of legal challenges, one judge has been willing to allow the case against Obama to proceed on its merits. At last, we find a judge who appears to respect the Constitution. That judge is Michael M. Malihi of the Georgia Office of State Administrative Hearings. Judge Malihi rejected the Obama team’s demand that he dismiss a subpoena requiring Obama to appear in court in Altanta to prove his eligibility. The judge refused. Then, Obama’s attorney, Michael Jablonski, tried to go around Judge Malihi’s court and sent a letter to Georgia Secretary of State Brian Kemp demanding that he abolish the court case and announcing that neither Obama nor his counsel would attend (“contempt of court” anyone?). To his credit Secretary Kemp basically told team Obama to put it in their pipe and smoke it. So the hearings were held last Thursday sans Team Obama. Arguments were heard which include that Obama is not a natural born citizen—as required by the Constitution—because his supposed father was not a U.S. citizen and that Obama possibly possesses a fraudulent Social Security number. The judge has yet to issue a ruling. “Attorneys who argued in a Georgia court this week that Barack Obama isn’t eligible to be president say Administrative Law Judge Michael Malihi considered granting a default judgment before they even argued the case. That presumably could have recommended that Obama failed to prove his eligibility and therefore should not be on the 2012 ballot, since he and his lawyer snubbed the hearing, for which Obama was subpoenaed. But the attorneys argued against such an easy victory on the point of the single hearing, expressing instead their desire to get the evidence concerning Obama’s eligibility or lack of it in the record, so that it would be there should the case elevate to an appellate level. The fact that Obama did not show when subpoenaed further illustrates his complete contempt for the rule of law in America. 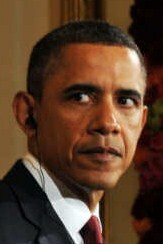 He has repeatedly violated the United States Constitution with non-recess recess appointments, taking over private sector car companies, signing the takeover of the health care industry and mandating that all Americans buy health insurance, running guns into the hands of enemies of America in the Mexican drug cartels, bypassing Congress to enact his will, etc. 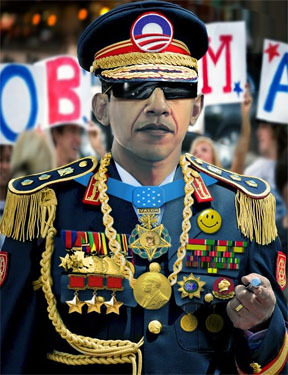 As I have said before, Obama is behaving as a dictator, and someone needs to hold him accountable. I am not holding my breath for anyone to arrest him for contempt of court, but someone most certainly should. Despite what he seems to believe, he is not above the law; however, if no one is willing to hold him accountable to the law, by default he is above it. This is a terrible place in which we find our nation—with an utterly lawless man in the office of President. “One of my earliest childhood memories is of my parents talking about Nixon and the Watergate scandal. I remember the newspaper headline: ‘Nixon Resigns!’ President Nixon’s fight against court subpoenas made international news. Yesterday President Obama completely ignored a court subpoena, and the world shrugged. Obama’s behavior yesterday is even more disturbing than Nixon’s. Nixon at least respected the judicial branch enough to have his attorney’s show up in court and follow procedure. Nixon’s fight in the courts followed existing law. Nixon acknowledged the authority of the judicial branch even while he fought it. Obama, on the other hand, essentially said yesterday that the judicial branch has no power over him. He ordered his attorneys to stay away from the hearing. He didn’t petition a higher court in a legitimate attempt to stay the hearing. Instead he showed complete contempt for the entire judicial branch and for the rule of law. Rather than respecting the legal process, Obama went around the courts and tried to put political pressure directly on the Georgia Secretary of State. When that failed, he simply ignored the judicial branch completely. 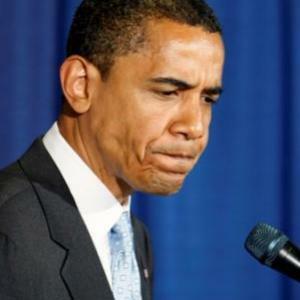 There is most certainly contempt in every aspect of Obama’s being. He displays contempt for our nation, our military, our freedoms, our Constitution and rule of law, all while insulting our intelligence with his interminable lying. We will have to wait to see what Judge Malihi decides. I have no word on when he may issue his ruling, but it is said to be soon. 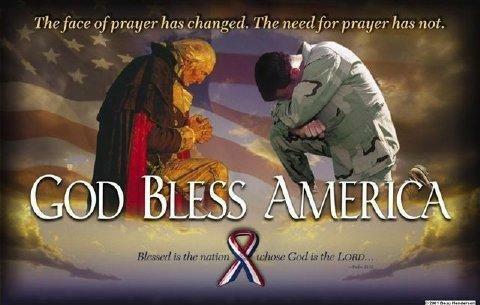 I pray—and patriots throughout our nation pray—that he makes the right decision. It is far past time for someone to hold this lawless criminal in the White House accountable. Yes, I said criminal! 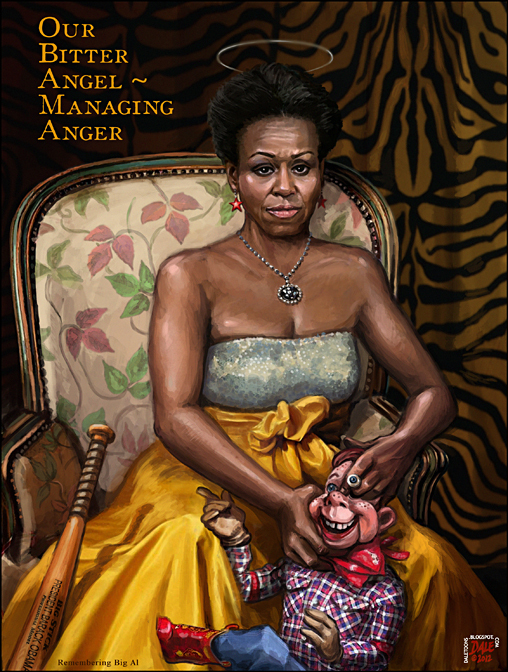 If you consider that to be too strong of a word to describe the behavior of Barack Obama, then you are simply uninformed or of like mind with him. The time for mincing words and playing polite with this communist Democrat regime is over—actually, the time for it never was. Now, more than ever, we must tell it like it is with this administration and shout it from the rooftops. When you consider polling (if you believe any of the polls) that indicates about fifty percent of Americans support Obama for reelection, then you know how much trouble we are in. If after three years of Obama’s outrageous behavior in office, we see that many Americans are still truly so clueless, it is only a matter of a very short time before the commie zombies will completely rule over us. We must fight to educate and inform the voter zombies where we find them, and hope they will listen. Otherwise, it may soon be too late. Please consider making a secure online donation to Article2SuperPAC by credit card or check by clicking here. The response to yesterday’s show on the Georgia Eligibility Case was very good. This is so important and in my opinion Brian Kemp the Sec of State has no choice but to omit or disallow Obama’s name on the ballots. Both of these attorneys are pushing the natural born Citizenship aspect. Orly Taitz is more on the identity fraud/document forgery side, emphasizing that not only is he not NBC, but may not be any kind of a citizen and might not even be “Barack Obama. She also brings up NBC. Both approaches are useful. If Georgia’s Secretary of State says Obama is off the ballot,it will set in motion a scary domino effect that will devastate down ballot Democrats. It’s doubtful that the media will explain what is likely to happen if there is a blank space at the top of the Democrat slate in Georgia next November,but here’s a likely scenario. 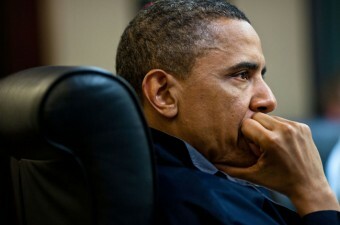 The results the latest IBD/TIPP survey hold nothing but bad news for Obama and his Democrats. Almost 2 /3 of the respondents agreed that we are preparing for the most important election since 1860. Even in the absence of hard evidence,can there be any doubt that those who are disinterested and feel no sense of urgency about this election probably have very little connection to our America except as a place to demand from to pay for their America? “Voter Interest” in this election can rightly be used interchangeably with “voter intensity”,which in turn translates to “voter enthusiasm” to vote. Last March,Republican enthusiasm was 5 points higher than Democrat enthusiasm,but that difference had grown to a 21 point edge in an October CNN survey. CNN found that 64% of Republicans are either extremely or very enthusiastic about voting in November which was up 3 points from June. Democrats by contrast had just a 43% enthusiasm level as they looked forward to voting in November. These kinds of numbers are the stuff of titanic defeats for Democrats. A 2010 enthusiasm edge of 19 points at 63/44 for Republicans gave them pickups of 680 state level legislative seats and 64 Congressional seats. Today’s IBD/TIPP survey shows that Republicans are 26 points more enthusiastic than Democrats with no telling how far the gap will grow. Clearly getting rank and file Democrats out to vote for Barack Obama or anyone other Democrat will be an uphill battle. A December Gallup mega survey of 5000 voters in 12 swing states revealed non-white enthusiasm was 32%. Compared to 2008 when 65% of blacks voted 97% for Obama,this is a stunning number. If black enthusiasm to vote is already less than half 2008 levels, one has to wonder how many blacks will turn out to vote for ANY Democrat without Obama at the top of their ticket. If the Obama Citizenship cases in other states are successful,it will be a disaster for down ballot Democrats like never before. (Jan. 30, 2012) – Due to high traffic on both January 20 and 26 after Atty. Orly Taitz announced breaking news regarding the Georgia ballot challenges, The Post & Email’s web host, GoDaddy LLC, shut the site down without warning. We worked quickly to hire a website developer to optimize the site and restore the twice-daily news alerts which had stopped working. He began work almost right away and was about to start the optimization process when GoDaddy shut the site down for the second time. Although both the website developer and I contacted GoDaddy immediately and explained the steps we were taking to correct any overages, GoDaddy refused to turn the site back on. 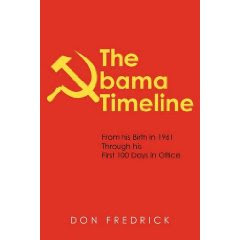 It made no difference that tens of thousands of readers were depending on the newspaper to report accurately, quickly, and in detail the breaking news of the day, which is vital in these days of the Obama regime. On January 26, we prepaid $800 for a new hosting plan on a dedicated server to resolve the issue. We had already paid the website developer more than $200 to do his work. In a three-way conference call, GoDaddy told us that it would take up to 72 hours to prepare the server and that they would migrate the site content from the old server to the new. However, on the third day, they changed their story and said it was the website developer’s job to migrate the content. He attempted to do so and after three hours stated that he was unfamiliar with their server, deferring to GoDaddy to do it. GoDaddy then put The Post & Email at the end of another 72-hour queue. I asked to speak with a supervisor and did so, but nothing changed. Later on January 29, the word from GoDaddy was that the migration had not even been started yet. I am spending the last of The Post & Email’s funds to attempt to get the site up and running again. I may have to hire a specialist after the migration is done, as I had to sign a disclaimer acknowledging that problems with connections might be encountered. Having to pay another professional will most likely deplete the small amount of cash we have left. Your editor has been working without pay for many months to bring you the news, complete with personal interviews, court documents, inside investigations, and detailed follow-up. However, even though we have tens of thousands of readers each month, only a relatively few actually support the paper. If we cannot get past this hurdle, The Post & Email will close, which is exactly what our enemies want. GoDaddy can be reached at 480-505-8877, and the corporate office phone number is 480-505-8800. A detailed letter has been mailed to Bob Parsons, CEO, and a message left with one of his corporate staff this morning. I have pledged to withhold the contents of the letter from publication until after Parsons has had a chance to respond and act upon it. If you wish to see The Post & Email return and grow, please send money via Paypal to payments@thepostemail.com. We need approximately $1,500 to overcome this obstacle. Can that be raised from a monthly readership of possibly 200,000? Americans who recognize Barack Hussein Obama for who and what he is might be a fortnight away from breaking news which even the New York Times will be forced to print. Though we’ll not know the outcome of the Georgia hearing regarding ballot eligibility for the nation’s number 1 undocumented worker until the first part of February,Barack Obama’s high-powered attorney apparently suffered an attack of rapid,shallow breathing just before the courtroom drama was about to unfold. One day prior to the scheduled hearing before Administrative Judge Michael Malihi,Obama attorney Michael Jablonski addressed both a letter to Georgia Secretary of State Brian Kemp AND an email,directed to the Secretary via one of the court’s hearing officers,asking Kemp to cancel the hearing. Such objection filings go to the Secretary of State who makes a determination to either overrule or pass them along to the State Administrative Court for disposition. Michael Malihi was the Administrative Judge to whom a number of these objections were directed by the Secretary and he found them worthy of pursuing in court. The dozens of similar suits questioning Obama’s eligibility,filed in other venues around the nation were dismissed because the plaintiffs “lacked standing”—that is,were unable to prove direct,personal damage if Obama were to be permitted to remain in or run again for the office he holds. But Georgia law trumped that defense,throwing Obama and Jablonski into uncharted waters. And forced to follow the new tack of actually having to lawfully and properly PROVE Obama’s eligibility,in the weeks since the original filing,Jablonski had pretty much emptied his quiver on behalf of the acting president. On January 3rd his motion for an outright dismissal of the lawsuits was denied by Judge Malihi. 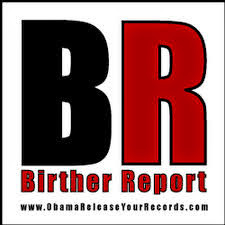 And on Friday the 20th,his motion to quash subpoenas demanding the presence of Obama in the courtroom along with original copies of his Hawaii birth certificate and all Social Security information was denied as well. But what degree of audacity,arrogance,hutzpah and perhaps downright panic does it require to demand that the Georgia Secretary of State cancel arguably the most anticipated hearing in state history less than 24 hours before its scheduled start? Never mind that it was Secretary Kemp who believed the suits had enough merit to be explored in the first place! Jablonski’s letter alternately reads like a threat,a whine and a prayer as he misstates Georgia statute,belittles Judge Malihi,refers to irrelevant previous findings and ultimately states that because he and his revered client are not receiving the absolute acquiescence they so richly deserve at the hands of these minor Georgia officials,they will take their marbles and go home. It is not difficult to imagine Jablonski writing these words as he wags a finger in Kemp’s face while threatening to hold his breath until he turns blue! Obama supporters and other useful idiots around the country are laughing at what they consider the efforts of a backward,Southern state to capture the national spotlight for its 15 minute allowance of fame. But rest assured that Michael Jablonski does NOT see the humor! And Americans who recognize Barack Hussein Obama for who and what he is might be a fortnight away from breaking news which even the New York Times will be forced to print. “I’ve never seen anything like this,” Private Investigator Susan Daniels told Judge Michael Malihi under oath,as she reviewed her research into Barack Obama’s social security numbers investigation! 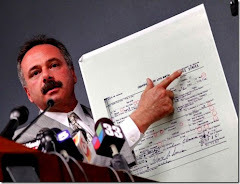 Her analysis centered on a Connecticut resident “born in 1890″ whose official registration somehow is mixed in with the Obama social security investigation. 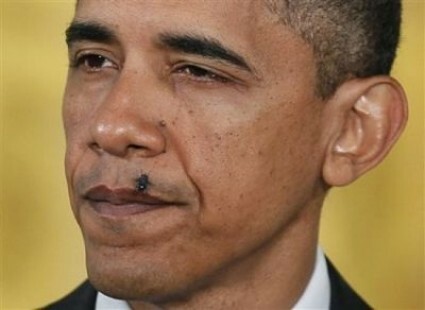 Testimony at the court hearing of Barack Obama’s eligibility to be placed on the Georgia ballot for reelection in 2012 revealed stunning sworn facts that clearly places into question the sitting president’s authenticity. In an interview after the administrative hearing,Daniels said,“I discovered immediately. . .( that social security number) was fraudulent. . .was.. no way it was accurate.” The live internet video stream suddenly went black when she said,“He’s using a . . . “ While I was able to glean some startling testimony,other witness responses to Attorney Orly Taitz’s questioning seemed garbled and had certain interruptions at key moments of the proceedings. 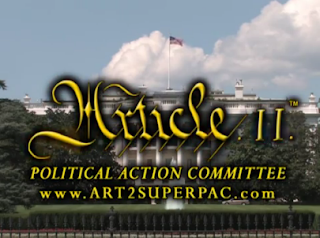 A remarkable source determined to bring the truth to the American people,namely htt://art2superpac.com,should allow you to view the hearing if it somehow can still stay up. 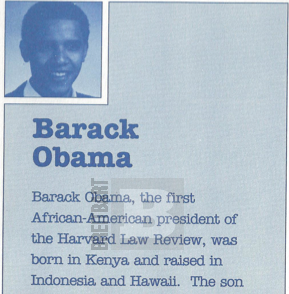 Attorney Taitz’s first witness keyed in on the non-natural born citizen status of Barack Obama senior,a fact clearly stated by his son’s own words admitting his father was born in Kenya,a protectorate of Great Britain at the time of our sitting President’s birth. 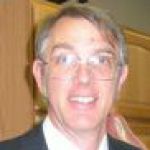 Another forensic witness stated under oath that “1-the serial number is out of sequence 2-the (Nordyke) twins born after (Obama). . .their serial numbers are lower. . (you) would expect them to be higher. . .a certifying paragraph is different. . .the name of the registrar is different. . .(you) would expect the same (name) since they (twins and Obama) were born within 24 hours” of one another! The forensic expert said,“There is credible evidence to warrant further investigation!” Another computer scanner expert went through lengthy analysis of a soft wear creation of the birth certificate released last April as compared to a document simply scanned from the original. African American Pastor James David Manning is calling out officialdom for keeping the American people in the dark about this never before hearing of a sitting U.S. president’s eligibility challenge. “This is a big story,” he says on his web video. Pastor Manning says our media outlets,our Republican candidates,the Supreme Court,all members of Congress are involved in a “Conspiracy” (his words) to hide from us what is really going on. Dr. Jerome R. Corsi,author of several Barack Obama books,says Judge Malihi’s witnesses show “Barack Obama is slam-dunk-disqualified” to appear on the Georgia official 2012 ballot. For him and his attorneys to not attend this official hearing was stunning. Georgia Secretary of State Brian Kemp warned them if “you and your client choose to suspend your participation in the OSAH proceedings,please understand that you do so at your own peril.” One commenter said,“I demand to know if my president is legal or not,no fooling around.” Perhaps the biggest news story of our country’s recent history is under blackout in an omerta or code of silence unprecedented in journalism. PHOENIX (AP) — The downtown Phoenix offices of Sheriff Joe Arpaio were temporarily evacuated Monday morning because of a suspicious envelope addressed to the sheriff containing a white, powdery substance. A spokesman refused to release details to the The Associated Press until an afternoon news conference. The Arizona Republic (http://bit.ly/yp8VBf ) reports the envelope was opened on the 19th floor of the Wells Fargo building where the sheriff's office has its headquarters. The unknown substance was found inside the envelope. A Phoenix Fire Department hazardous materials crew responded. The crew removed the envelope, and people working in the area were allowed to return. Officials were still investigating. No injuries were reported. I have emphasized the word “little” because the truth of the law on this issue is very simple, folks. So simple that the mystery is deciphered by application of one of the most clear, concise and undeniable rules of law; the code of statutory construction governs, and therefore, “natural born Citizen” must require something more than being born in the United States. 4. Price of gasoline has increased by 80% from $1.86/gal to $3.35/gal. 5. Americans on food stamps have increased 42% from 31.8 million to 45.2 million. 6. Home foreclosures per year have increased by 34% from 850,000 to 1,140,000. 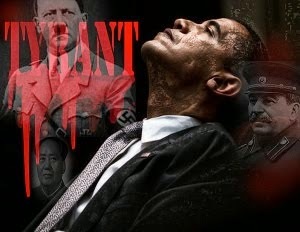 He (OBAMA) is the most disgusting example of human life we have ever witnessed. 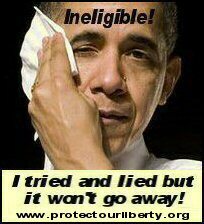 Obama is going to have to flip more than 30 million votes to cheat his way back into the pResidency. The stunning victory of the Constitutionalists over Barack Obama/Soetoro/Soebarkah in Georgia on January 26 was also a victory for the judicial system and the rule of law. No doubt the pressure on Georgia officials is significant so it is important to remind them of the support that exists for their courage. Defiant Obama–nothing new, of course–blows it by not showing up, but when has he ever showed up even through his lawyers? He has dismissed all of us as just so much toilet paper, and his attack on the judiciary, the people, and the states will not stop with this positive ruling. The Obama ballot challenge and the Article II SuperPac have had a considerable impact in beginning the process of outright removal of his name from the ballot and has the additional very important impact of raising awareness and doubt about Obama in the electorate. Rather demoralizing for the Obots, Congress, and the media to have spent their wad, ‘credibility‘, and resources defending a fake, fraud, liar, and criminal, don’t you agree? They will stay home, not vote, and ‘blame it on Bush’. U.S. Constitution Article IV Section 1. Article IV, Sec. 1, has had its principal operation in relation to judgments. Embraced within the relevant discussions are two principal classes of judgments. First, those in which the judgment involved was offered as a basis of proceedings for its own enforcement outside the State where rendered, as for example, when an action for debt is brought in the courts of State B on a judgment for money damages rendered in State A; second, those in which the judgment involved was offered, in conformance with the principle of res judicata, in defense in a new or collateral proceeding growing out of the same facts as the original suit, as for example, when a decree of divorce granted in State A is offered as barring a suit for divorce by the other party to the marriage in the courts of State B. A State District Court filing of a Show Cause Order asking why the State of (x) should not honor the State of Georgia’s determination under the Full Faith and Credit Clause of the Constitution, addressed to the State Gov., Atty Gen., SoS , and State Election Commission/Board/Agency as Respondents is a logical next step. (h/t slcraignbc). Already ballot challenges in Illinois and Alabama are underway, for 30 more electoral votes. If we raise enough awareness and enough challenges to make our state officials pay attention, Obama is going to have to flip more than 30 million votes to win the election. 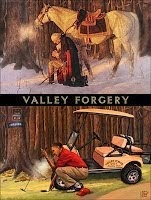 And don’t forget Sheriff Joe Arpaio’s Cold Case Posse and the report due out in February. The justice department and individuals have threatened the Sheriff with removal and death, and are finally being held accountable. 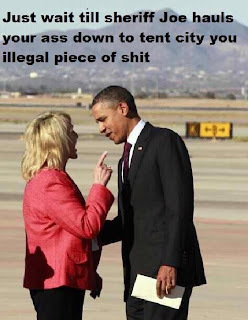 I doubt that Arizona will have an easy time of putting him back on the ballot, notwithstanding Governor Brewer’s lack of courage and membership in the usurper’s’ ‘council of governors‘. We will not forget that everything Obama has signed as an illegal occupant of the White House has no effect in law. Think of the tens of thousands of people, including our soldiers, that have died under this illegality. How correct it would be to have the charges against Obama in any state lead to the arrest and detainment of Obama? Would it stop his endless campaigning? Obama has already lost the youth vote to Ron Paul. There is no enthusiasm for the Obutt or Moose-hell anymore. 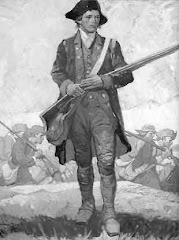 Oh, and they’ll have to arrest the OWS people first before they declare martial law, as the Patriots will be at home keeping our power dry. And there is nothing more ugly than the left scorned. We told you Obots, you’re the first ones to be detained under martial law. NJ: At the end of 2012,a number of major tax provisions,including the Bush-era cuts,are set to expire. Do you have any predictions? NORQUIST:We’re focused on the fact that there is this Damocles sword hanging over people’s head. What you don’t know is who will be in charge when all of this will happen. I think when we get through this election cycle,we’ll have a Republican majority,[though] not necessarily a strong majority in the Senate,and a majority in the House. The majority in the House will continue to be a Reagan majority,a conservative majority. Boehner never has to talk his delegation going further to the right. Then,the question is:“OK,what do we do about repatriation and all of the interesting stuff?” And,if you have a Republican president to go with a Republican House and Senate,then they pass the [Paul] Ryan plan [on Medicare]. NJ: What if the Democrats still have control? What’s your scenario then? Norquist was listed as one of the five primary leaders of the post-Goldwater conservative movement by Nina Easton in her 2000 book,“Gang of Five”. Working with eventual Speaker Newt Gingrich,Norquist was one of the co-authors of the 1994 Contract with America,and helped to rally grassroots efforts,which Norquist later chronicled in his book Rock the House. Norquist also served as a campaign staff member on the 1988,1992 and 1996 Republican Platform Committees. Simply put,when Grover speaks,D.C. Republicans listen. Norquist is a single-issue conservative. Although he has been associated with other intellectual undercurrents and movements —for instance,his support for anti-Communists in the 1980s and his more recent service in the National Rifle Association —he eats,sleeps,and breathes tax policy. In this week’s comments,he has laid down a potent marker for the president:If Obama goes forward with his plan for “job-killing tax increases”in 2013,Norquist will see that he is consigned to an early retirement. It’s enough to make me wish momentarily that Obama had already raised taxes. 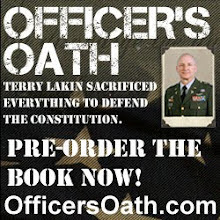 Click here to learn more about the Impeach Obama Campaign. Click here to sign the Impeach Obama petition. “candidate” or “person” or “individual” running for President as used in the Federal Election Campaign Act (“FECA”)? 2. Whether, as a naturalized American citizen, I am prohibited from receiving matching funds under the FECA? 441h(b) ifi solicit and/or receive presidential campaign contributions? The FEC responded with an Advisory Opinion on September 2, 2011. “We are responding to your advisory opinion request concerning the application of the Federal Election Campaign Act of 1971, as amended (the “Act”), the Presidential Primary Matching Payment Account Act, as amended, and Commission regulations to your campaign for President of the United States, given your status as a naturalized citizen. presidential matching funds under the Presidential Primary Matching Payment Account Act (“Matching Payment Act”). 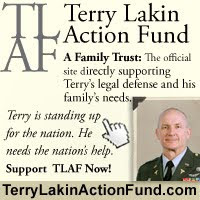 “2 The Act does not contain separate definitions for candidates for different Federal offices. The Constitution’s “natural born Citizen” provision only pertains to “the Office of President.” U.S. Const., art. II, sec. 1, cl. 5. The FEC refers to the US Constitition requirement for the presidency, natural born citizen. The FEC notes the distinction between a natural born citizen and naturalized citizen. The Fec states that a naturalized citizen is not eligible for the presidency. 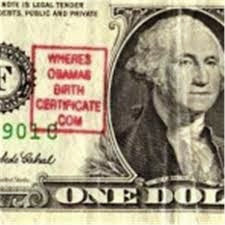 The FEC states that only a natural born citizen may receive presidential matching funds. The FEC acknowledges that although they do not have the authority to keep ineligible candidates off of ballots, some of the states do. Hence the GA and other state ballot challenges to Obama. The FEC still acknowledges the US Constitution. However, in 2007 when Robert Bauer of Perkins Coie submitted an advisory opinion request on behalf of Barack Obama to keep open the option for presidential matching funds, Bauer knew that Obama was not a natural born citizen. Ellen Weintraub, on the FEC committee that responded with an advisory opinion in the affirmative for Obama, was a former Perkins Coie staff member. Fraud was committed by Obama and Bauer and one has to question the ethics of Weintraub’s involvement. that the FEC should always require proof of eligibility. It should have done so in 2007. We know there was inherent bias in 2007 (see part 4 of this series). Court cases also clarify the powers given to the FEC. The FEC has more power than they have alluded to. See Doug Teper, et al V. Zell Miller, et al, April 24, 1996. Many people are convinced that this President has done more to destroy the United States in three years than all the other presidents combined. The only hope of preventing another four years of even more drastic destructive policies is the election of one of the four remaining Republican candidates. The two frontrunners are using their time and resources, even on national television where they can be seen by the public, arguing over whether Newt’s consulting contract with Freddie Mac is “lobbying,” or whether Mitt is a moderate. Wake up gentlemen; the target is Obama! It’s official now. 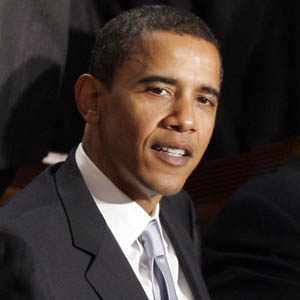 Barack Obama’s ratings are “historically polarized,” according to a new Gallup survey. Jeffrey Jones of the Gallup organization writes, “The historically high gap between partisans’ job approval ratings of Barack Obama continued during Obama’s third year in office, with an average of 80 percent of Democrats and 12 percent of Republicans approving of the job he was doing… The 68-point gap between partisans’ approval ratings of Obama last year is nine points higher than that for any other president’s third year.” Obama, by the way, holds the record for the most polarized first and second years in office, too. Which means Obama has set a record for polarization every year he’s been in office. We have reached a tipping point in this country The fraud in the White House threw all pretense of adherence to the Constitution to the wind and made several blatantly illegal “recess” appointments of extreme leftists to positions of power within the government. Clearly,this was a move to avoid letting the Senate exercise its advise-and-consent authority over appointments. The thing is,Congress was not in recess,so the move was illegal. 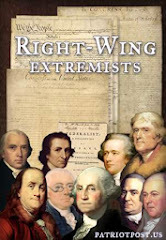 It would seem,however,that we conservatives are not the only ones who have noticed how spinelessly co-operative Congress has become in foisting totalitarian socialism on America in the past few years. The Marxist/neo-fascists who run the Democrat Party and write the speeches and policy for the Sock Puppet in the White House,appear to be keenly aware of the compliance of this worthless body. Confronted with the reality of a massive defeat at the polls in November – assuming,of course that an honest election could actually take place (entiende “fat chance,” amigos?) – they have pulled out all the stops and are imposing their agenda on the country,the Constitution and federal laws be damned. The Reichstag has been burned. Strategically,from the point of view of the radical left,this makes total sense. If they can continue to get away with over-the-top lawlessness,as they have with their cover-up of the Fast and Furious debacle that resulted in the deaths of over 200 Mexican citizens,and two American federal agents;numerous obvious,but unprosecuted cases of Democrat voter fraud;the looting of the Treasury,disguised as “stimulus;” collusion with Big Unions and “green” corporations in return for huge bribes euphemistically called “campaign donations;” their refusal to close the border and their actual facilitation of the invasion of illegals by refusing to build the fence mandated by law,their refusal to enforce immigration laws,their refusal to deport apprehended illegals,and their withdrawal of National Guard personnel from the border,et cetera,et cetera,ad nauseam,then it is likely that they will get away with what amounts to a coup d’etat. And so far,they are succeeding. I find this especially disheartening since it was only a couple of weeks ago that Obama- Soetoro’s hero and role model,Marxist dictator Hugo Chavez,publicly called him a clown and accused him of wrecking the country. 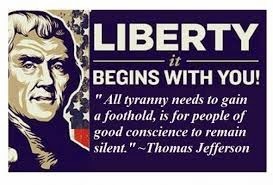 Why is it that a ham-fisted communist dictator can speak the truth,but our self-proclaimed conservative “leaders” in Congress are as silent as the grave they appear to be digging for American freedom and liberty?